Small Man Productions, Calypso Films. 1996. Director: John Hillcoat. 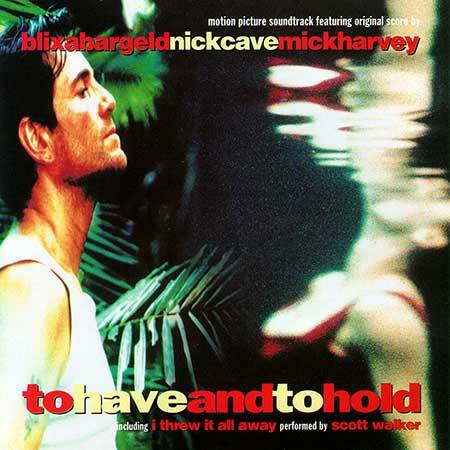 Music: Blixa Bargeld, Nick Cave, Mick Harvey. CD (ST) Icon. 19964. 1996. Original score Composed by Blixa Bargeld, Nick Cave, Mick Harvey. String Arrangements by Mick Harvey. Produced by Gareth Jones, Blixa Bargeld, Nick Cave and Mick Harvey. Recording Assistant: David Davis. Music Mix: Gareth Jones and Mick Harvey. Recorded at Sing Sing, Melbourne, November ‘95. Mixed at Metropolis, Melbourne. Mastered at Whitfield Street, London. Mastered by Ray Staff. Music Supervisor: Chris Gough, Mana Music. Published by Mute Songs unless otherwise specified. Violins: Rudolf Osadnik (leader), Kirsty Bremner, Eleanor Bush, Gretta Bull, Isin Cakmakcioglu, Mark Drummond, Peter Fellin, Ron Layton, Robert Macindoe, Richard Panting, David Shafir, Wojciech Statkiewicz, Leon La Gruta, Pauline Tonkin, Mary Allison, George Vi, Lorraine Hook. Bass: Dale Jones, Michelle Picker, Ivan Sultanoff, Matthew Thorne. Violas: Simon Collins, Elizabeth Corby, Elizabeth Hemming, Isabel Morse, Cindy Watkin. Cellos: Rachel Atkinson, Marta Brysha, Joan Evans, Gerald Keuneman, Sarah Morse, Annette Martin, Jennifer Stokes, Willen Van Der Vis. Oboe: Anne Gilby (I Threw It All Away), Stephen Robinson. Harp: Julie Raines. To Have And To Hold. A House In The Jungle. Performed by Raun Raun Theatre. (Traditional). We’re Coming - The Riot. I Threw It All Away. Performed by Scott Walker. (Dylan). Big Sky Music/Sony Music. To Have And To Hold - End Titles. Gangster Bone. Performed by Keety General (Darkman, Keety General). EMI/Control. Produced by Darkman.